For those of you who don’t know, I am the producer of Inside PR, a weekly podcast that looks at the world of communications, public relations, social media and where it all meets and intersects. You can subscribe to the podcast through iTunes or follow the Inside PR blog. Every week I receive files from Toronto, Ottawa, and Chicago with the wonderful and talented voices of Gini Dietrich, Martin Waxman and Joe Thornley. I then take the three voice files wave a wand and presto a podcast appears online for all our wonderful listeners. Actually, there is more than just a wand; there is hard work and passion behind creating this wonderful podcast. This week, I was lucky enough to “hangout” on Goggle+ with Gini, Martin and Joe. We talked about the behind the scenes of the Inside PR podcast and I gave tips on how to produce your own podcast. So, if you want to learn about how to produce a podcast, check out this week’s episode of Inside PR. First you need your voice files – the file that includes your recording. If you are multiple people, use separate microphones to create separate files. This makes it easier to edit out background noise. Upload all files in to an audio editing software, I use Audacity. Then edit the content. Take out bloopers, add in intro and outro music, take out background noise, and remove barking sounds from Gini’s dog. Now time to export the file. Export it as a WAV. file so you can drop the file in Levelator. Levalator automatically makes all voices the same volume. When you record with two or more microphones, someone is always louder than the other. And some people just naturally have a louder voice. Levalator ensures everyone speaks at the same volume. Although a WAV. file is a popular audio file, convert your file to a MP3. It is very easy to do with Audacity and it shrinks the file to be more manageable and it makes it easier to download. MP3 files are also more popular and can play in various audio and video players. If you make your podcast available through iTunes, your podcast can easily be made available to your followers. Followers can also subscribe and receive new podcasts instantly to their iTunes library. Once you have created an iTunes account for your podcast, you simply need to upload your finished MP3 on to Liberated Syndication (or Libsyn). Libsyn then makes the podcast available on iTunes. Libsyn also provides you with links (embedded and direct), which you can use to share through social media (i.e. a blog post). There are many ways to share your podcast. Inside PR writes a blog post every week to accompany the podcast. Each week a different host writes the show notes and I push it live on the blog. 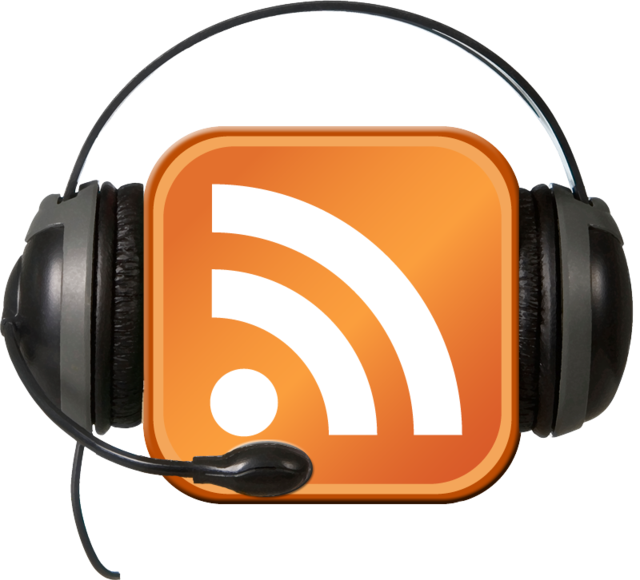 The Inside PR blog is a WordPress blog, which makes it easy to add plugins that allow followers to listen to the podcast directly on the blog post. Follow those five steps and with a flick of the wrist, magic! The podcast is created. Listen to this week’s episode of Inside PR to hear more about producing a podcast. I also talk about the intricacies of being a producer – i.e. I know each host by their vocal waves. This entry was posted in Young PR Pros podcast and tagged gini dietrich, inside pr, joseph thornley, martin waxman, podcast, podcasting, PR, public relations, social-media by Kristine D'Arbelles. Bookmark the permalink. Kristine — This is really helpful information. I like the step-by-step guide to producing a podcast and will try the Inside PR show. I am glad this guide was helpful. Producing a podcast is so much easier than it sounds and is such an effective tool to use to position your organization or management as leaders in your industry. nice show… I have been interested in making a podcast (based on electronic and jazz music).. It seems pretty straight forward, and I am already an expert at recording audio, so perhaps that part will be easier for me.. I just have two quick questions if you have a second to answer… Is there any cost involved with putting it up on itunes or libsyn? Also, do you do any other advertising for your podcast other than the blog?